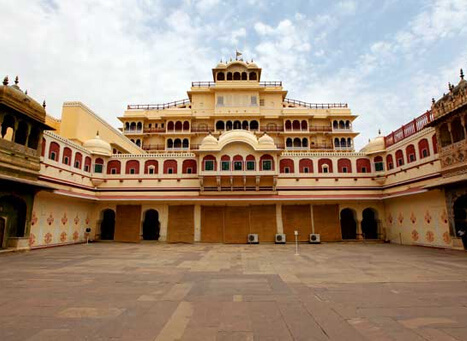 India is blessed with many fascinating forts and palaces scattered all across. In addition to representing the old culture and traditions of the country, these ancient places portray the old India and many of its interesting stories of the past. At Tour My India, we offer you an opportunity to explore the ancient assets of the country and leaving you with long lasting memories. With our tour to Forts and Palaces of India, you can explore the great forts and palaces of the capital Delhi and other major states of the country such as Jaipur, Jaisalmer, Jodhpur, Udipur, etc. On arrival in Delhi, our representative will be there to meet and transfer you to the hotel for an overnight stay. After breakfast at the hotel, we woill proceed to enjoy a full day sightseeing tour of New Delhi, which will include a visit to Laxmi Narayan Temple, India Gate, Parliament House, Qutab Minar, Purana Qila, Humayun's Tomb, Jantar Mantar, etc. After having lunch, we will proceed for the sightseeing of Old Delhi which includes Jama Masjid, Red Fort, Gandhi memorial and Rajghat. In the evening, you can enjoy the light & sound show at Red Fort. An overnight stay at the hotel. In the morning after breakfast at the hotel, we will drive to Nawalgarh. On arrival in Nawalgarh, check-in at the hotel for an overnight stay. 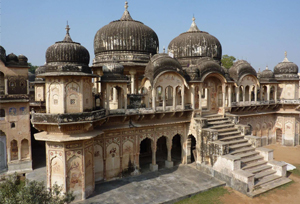 Nawalgarh: Founded in the 18th Century by Nawal Singh, it has some of the finest frescoes in the Shekhawati region. A huge fort with colorful bazaar and numerous havelis with elaborate architecture makes it an interesting destination for a 1day / 1 night stay. There are a few prominent havelis like Anandilal Poddar Haveli, Aath Haveli, Hodh Raj Patodia Haveli etc., which are to be visited, and so are the two forts and the palace hotel Roop Niwas that is a beautiful heritage property and is renovated with modern facilities. The Palace offers spacious painted rooms, Luxurious interiors, graceful hospitality and great thematic evenings with sumptuous cuisine. The registered painting in their Art Gallery is a treat to the visuals. After breakfast at the hotel, we will be visiting the ancient Havelis and Fort. Later, we will drive to Bikaner. On arrival in Bikaner, check-in at the hotel. 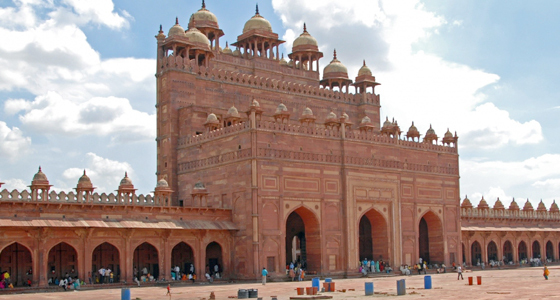 In the afternoon, we will visit Bikaner Fort, the Lalgarh Palace and the Deshnoke Temple. Later in the evening, we will transfer you to the hotel for an overnight stay. In the morning after breakfast at the hotel, we will leave to visit Bikaner. 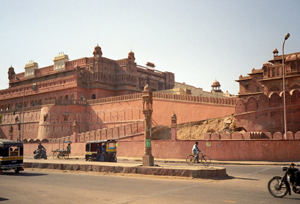 We will be visiting Bikaner Fort and the Lalgarh Palace. In the afternoon, we will drive to Jaisalmer. On arrival in Jaisalmer, check-in at the hotel for an overnight stay. After breakfast at the hotel, we will go for half day city tour of Jaisalmer. 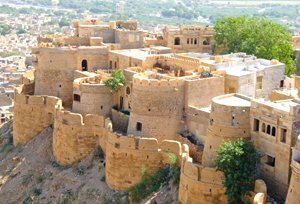 We will be visiting Jaisalmer Fort, Havelis, Manak Chowk, Gadisar Lake, Salim Singh-Ki-Haveli, Patwon-Ki-Haveli with stone carving and lattice work of breath taking intricacy. In the evening, we will proceed to visit Camel safari at Sam. Later, return back to the hotel for an overnight stay. We will drive to Jodhpur after breakfast at the hotel. On arrival in Jodhpur, check-in at the hotel. Evening is free for self activities or liesure. An overnight stay at the hotel. After breakfast at the hotel, we will be leaving for half day city tour of Jodhpur. We will be visiting Mehrangarh Fort, the Jaswant Thada and the Umaid Bhawan Palace. Later, we will continue our drive to Luni. On arrival in Luni, check-in at the hotel for an overnight stay. In the morning after breakfast, we will proceed for city tour of Luni. Later, we will continue our drive to Ranakpur. On arrival in Ranakpur, check-in at the hotel. in the afternoon, we will visit the Jain Temple at Ranakpur. An overnight stay at the hotel. After morning breakfast at the hotel, we will drive to Udaipur. 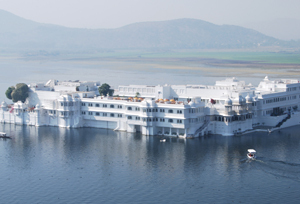 On arrival in Udaipur, we will check-in at the hotel. In the afternoon, we will be visiting the City Palace, Jagdish Temple, Museum and Saheliyon ki Bari (Gardens of the maids of Honor). In the evening, take a boat ride at Lake Pichola. An overnight stay at the hotel. In the morning after breakfast at the hotel, we will drive to Samode. On arrival in Samode, check-in at the hotel. In the afternoon, we will be visiting the Samode village and enjoy the beauty in & around the village. An overnight stay at the hotel. After a healthy breakfast at the hotel, we will drive to Jaipur. On arrival in Jaipur, check-in at the hotel for an overnight stay. Jaipur : Capital of Rajasthan, Jaipur, was founded by Maharaja Sawai Jai Singh in 1728 A.D. It is also called Pink City because most houses in this city are pink coloured. The city is surrounded by thick walls 20 feet high and 9 feet wide having eight gates. Ajmeri gate and the Sanganeri gate in the south, Chandpole gate in the west and the Ghat Darwaza in the east are some of the main gates of Jaipur. The city is surrounded by hills on all sides except the southwest. Forts and temples can be seen on the hills. After breakfast at the hotel, we will go for an excursion to Amer Fort. Ascend the fort on Elephants back. 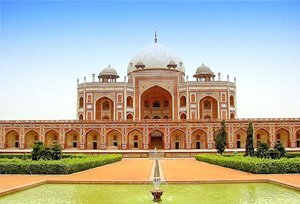 In the afternoon, we will take a city tour and visit the City palace, the Jantar Mantar (observatory), the Palace of Winds and the Birla temple. In the evening, we will check in at the hotel for an overnight stay. After breakfast, we will drive to Agra. En-route, we will stop at Fatehpur Sikri. On arrival in Agra, check in at the hotel. In the evening, visit Taj Mahal and Agra Fort. An overnight stay at the hotel. After breakfast at the hotel, we will drive back to Delhi. On arrival in Delhi, check-in at the hotel for a night stay at the hotel. In the morning after breakfast at the hotel, we will transfer you to the International airport to catch the flight for your onward destination flight.